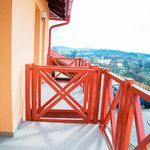 Rooms, services Guests looking for accommodation in Nagysáp are welcome to book 11 nicely furnished rooms at Granárium Központ Nagysáp. The pension welcomes you and the complete family with child-friendly services. The pension is offering you freshly prepared fine local meals in its restaurant every day. You may park your vehicle for an additional fee in a parking lot available on the spot. Even during the hottest summer days the temperature is pleasant, thanks to air-conditioners being in operation in some of the rooms (you can make sure on the information sheet of each room if it features air-conditioning). At the pension you may go online via wireless Internet connection (WiFi). 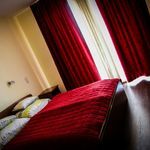 An exact and detailed list of equipment in the rooms and of the services provided by Granárium Központ Nagysáp you will find on the information sheet below and on the information sheet of the individual rooms, including any applicable additional fees. Catering The displayed prices include fresh and rich breakfast, served on the spot every day. A different type of catering may be requested to the booking, the following are provided by the pension: no boarding, breakfast, half board, full board. Arrival, opening hours The earliest check-in time is 14:00, the latest check-out time is 11:00. The personnel can speak English, Hungarian and German languages. The rating of Granárium Központ Nagysáp is 8.7 from the maximum 10, 45 based on actual and valid guest ratings and reviews.